What is the Arctic? Who lives there? How are their lives changing as the climate warms? In this Earth Day Special, we take listeners on a three-part journey across the polar north, drawing on our 18 months of research and reporting in all eight Arctic countries. 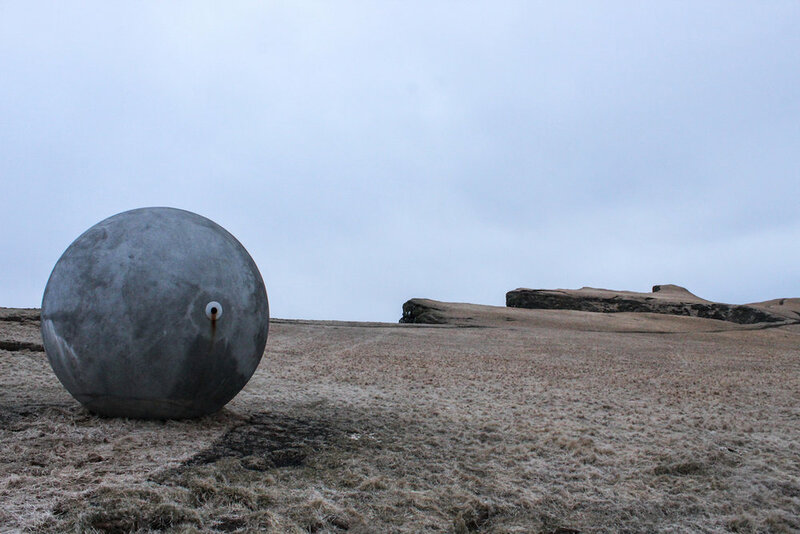 Part I: On Grímsey Island, Iceland, an eight-ton concrete ball maps the path of the Arctic Circle as it moves an average of 14 meters each year. 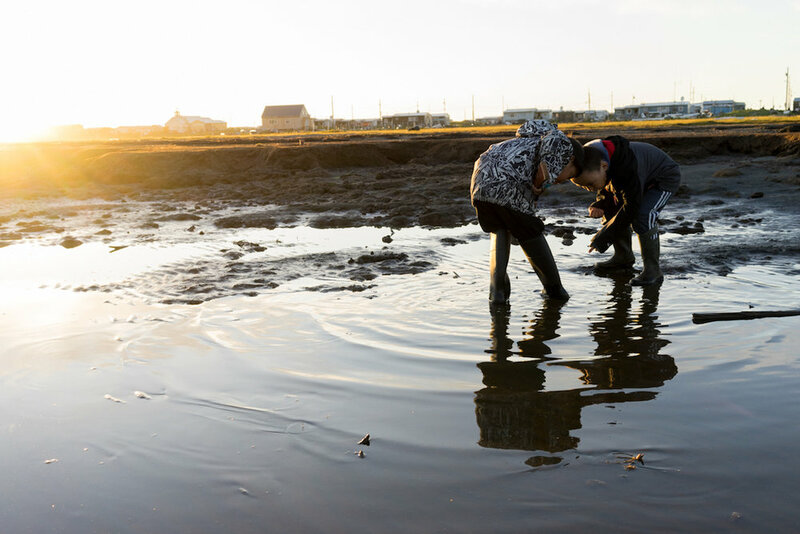 Part II: The island town of Shishmaref, Alaska is only about a quarter of a mile wide, and thanks to the effects of climate change, it’s getting smaller each year. The town has voted to relocate to the mainland, but they need help to make the move. So far, no one seems to be listening. Part III: The Greenland ice sheet is basically a giant ice cube the size of Alaska. What happens when it melts? We spent five days camping out on the ice with a team of scientists who are trying to find out. This one-hour Threshold Earth Day Special is formatted to the NPR clock and can be licensed for radio broadcast through PRX. Get the episode and promos here. Season two of Threshold, an award-winning podcast and public radio show, took listeners to the thawing soil and melting ice of the polar north, to experience this fast-changing part of the planet first-hand. All 13 episodes, each 29 minutes long, are also available for broadcast on PRX. Puffins gather on the cliffs of Grímsey Island. Steve Christer and Kristinn Hrafnsson blow bubbles on installation day. Brent and Elmer play along the shoreline at dusk. A boat floats off the coast of Shishmaref. 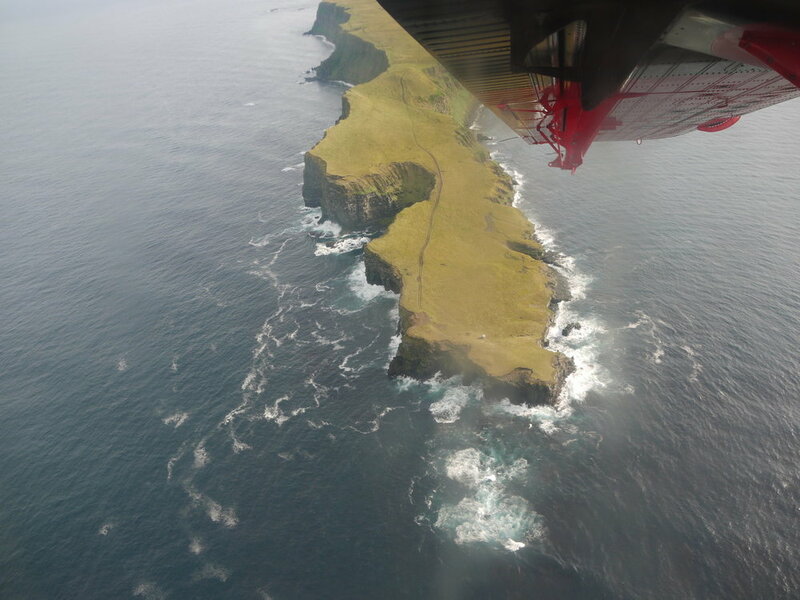 About 600 people live on the island. Brent and Elmer play along the shore before sunset. The sea wall, just like the coast, is gradually wearing away. Nora Kuzuguk, 70, recounts stories from her childhood. Winfred Obruk, 78, says the beach used to extend way out beyond where it ends now. Winter storms are eating away at the island, but moving the whole community is expensive. Going to the Greenland ice sheet is "every geophysicist's dream," says Rosie Leone, a graduate student at the University of Montana. 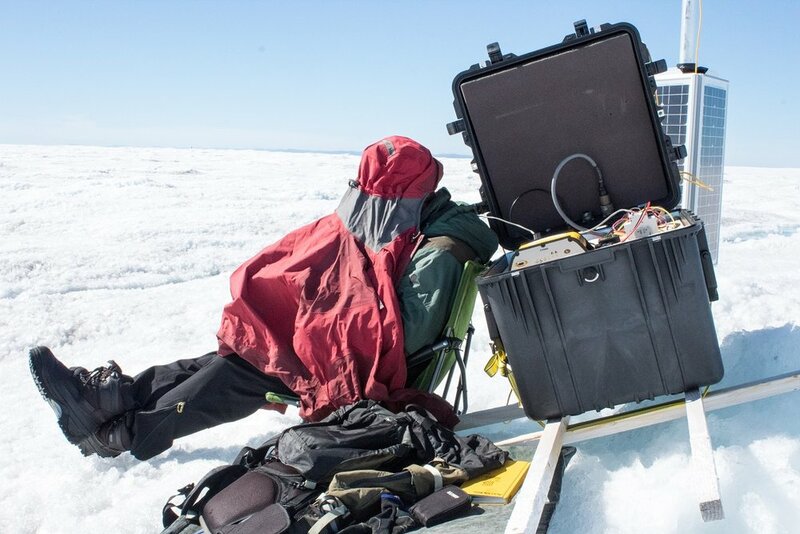 University of Montana glaciologists Joel Harper and Toby Meierbachtol assemble the gear they're using to measure the movement of the ice sheet. 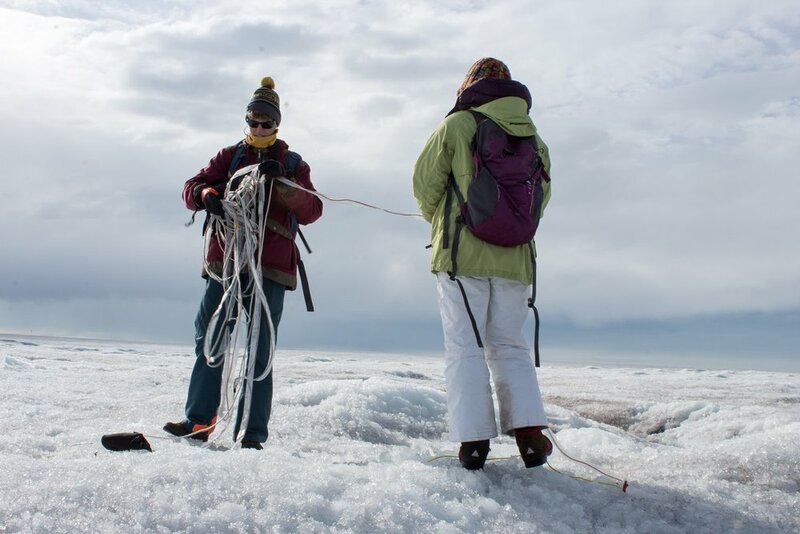 This team is studying ice sheet dynamics, or the ways the ice sheet moves over the land and into the sea. A team of three professors and three students unload the helicopter at their research site on the Greenland ice sheet. The science team went to the edge of the Greenland ice sheet the day before flying out to the field site. The crew gathered for meals in a tent on the ice. 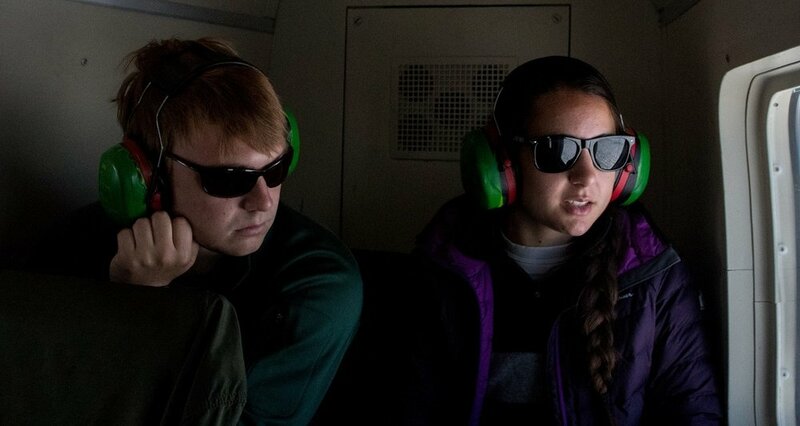 Graduate students Ian MacDowell and Rosie Leone look down on the ice sheet from inside the helicopter. 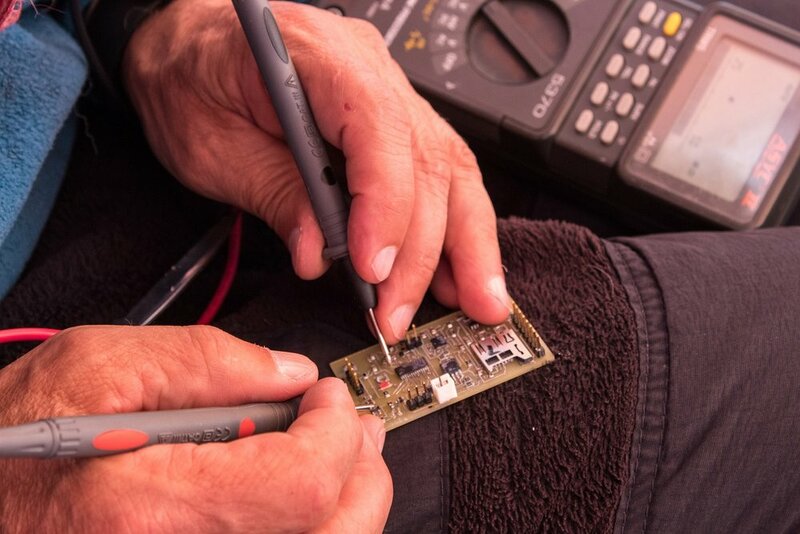 University of Wyoming glaciologist Neil Humphrey works on one of the tiny sensors the team sent down through a bore hole to collect information about the ice sheet bed. The Arctic may seem remote, Humphrey says, but changes here affect the whole planet. 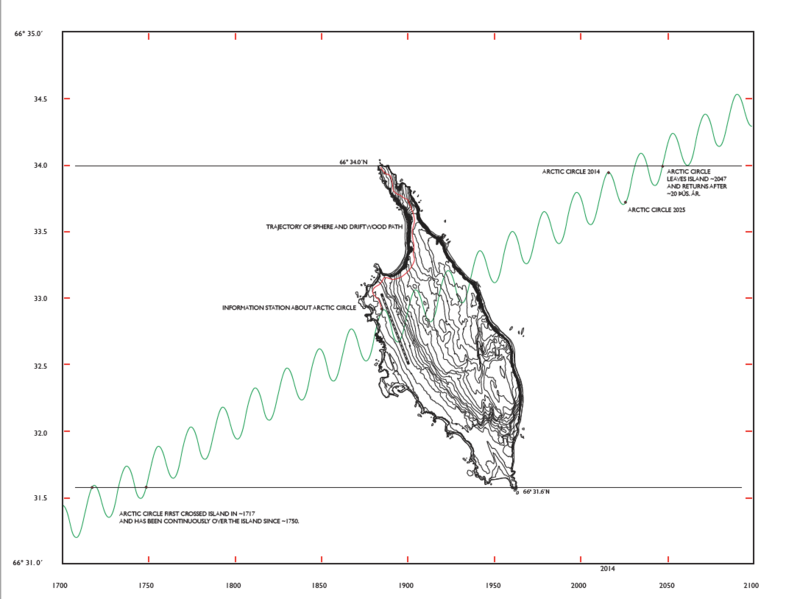 “We're talking about raising sea level 10, 20 feet. You're going to displace hundreds of millions of people." Student Aidan Stansberry collects data to help map the ice sheet bed. As humans warm the planet, surface melt is increasing. If the entire ice sheet melted, it would cause sea level to rise roughly 23 feet, inundating coastal areas around the world. University of Montana glaciologist Joel Harper examines a deep crack in the ice sheet called a crevasse. The 24-hour sunlight is so bright that researcher Toby Meierbachtol had to make a tent over his head in order to see the screen of a computer they're using to log the data from the ice sheet bed. The Greenland ice sheet is 10,000 feet thick in the center. “You can't go there. You can't see it,” Joel Harper says. That’s why he has his students working on mapping the bed with radar. After five days of intense work, the team from the universities of Montana and Wyoming team packed up all the tents, food and gear, and waited for the helicopter to come pick them up. 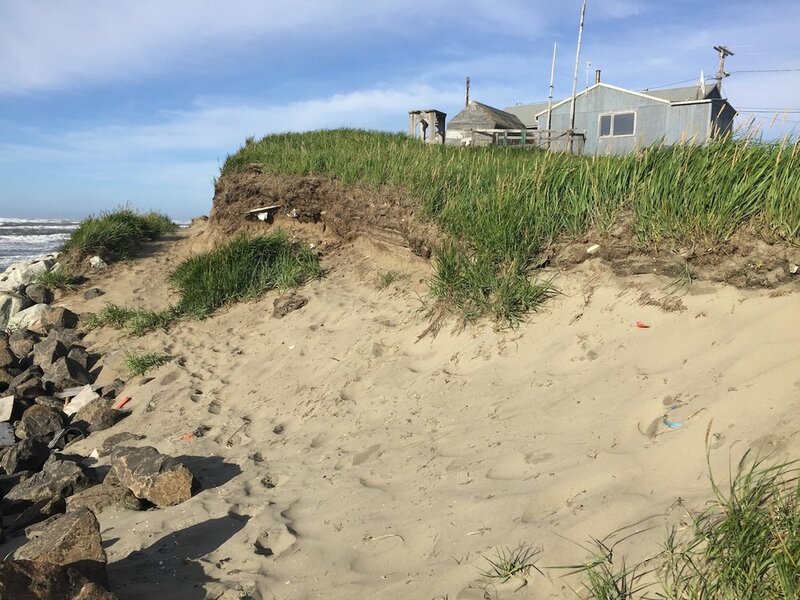 This interactive tool allows users to see where Alaska’s shoreline has been in the past, and where it will be in the future. 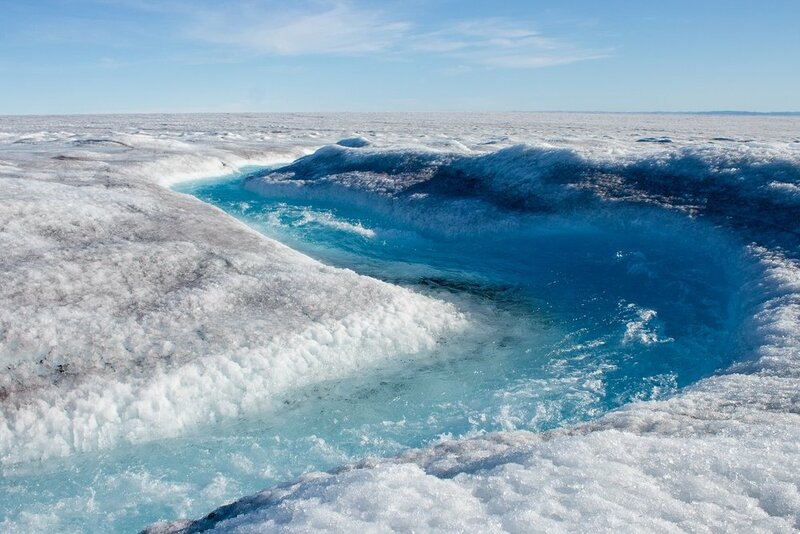 Read glaciologist Joel Harper’s article in The Conversation to learn more about his research on melt water under the Greenland ice sheet. Get daily satellite images and information about melting on the Greenland ice sheet from the National Snow & Ice Data Center here.